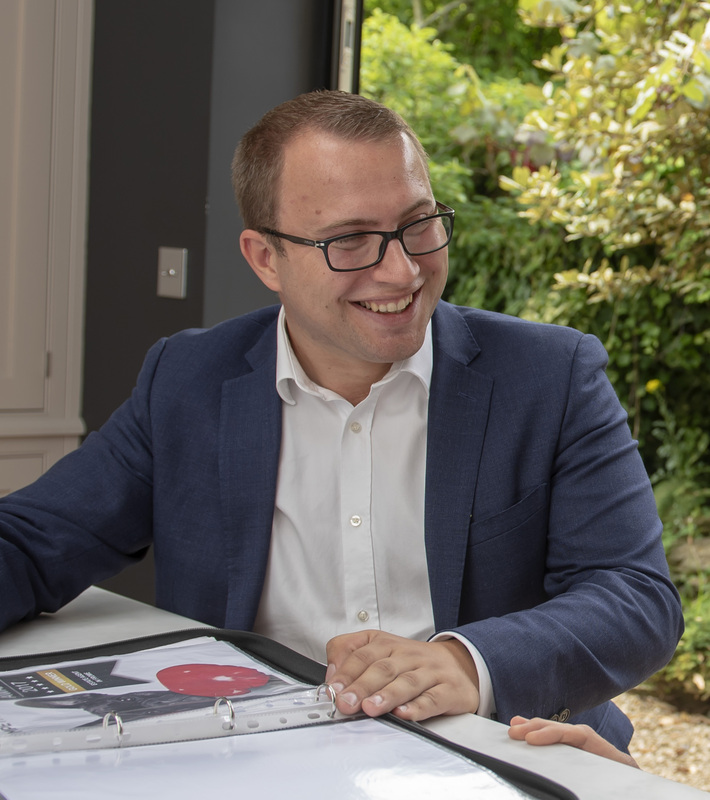 Stepping in through the composite front door your find a small entrance hall with space to kick off your shoes and hang up your coat. A glazed door leads in to the sitting room. 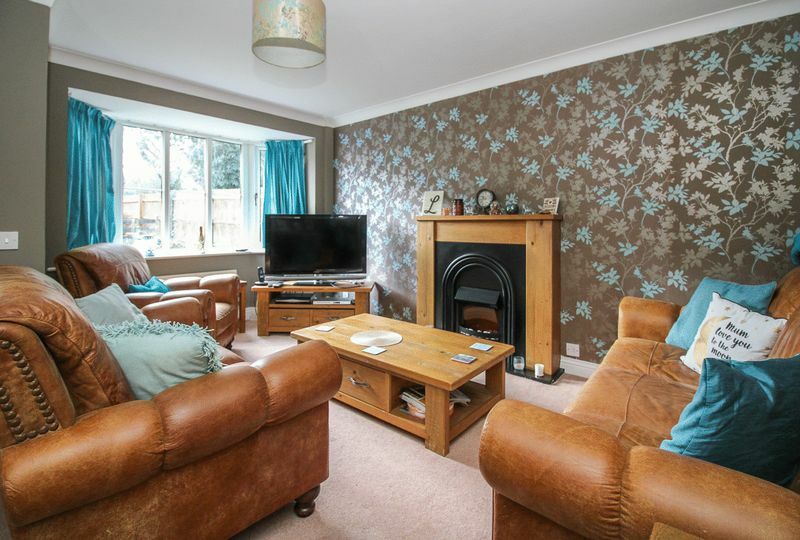 This living room gets a good deal of natural light thanks to a stylish bay window to the front. The owners Victorian style electric fireplace is available by separate negotiation and this room has a door to the dining room. 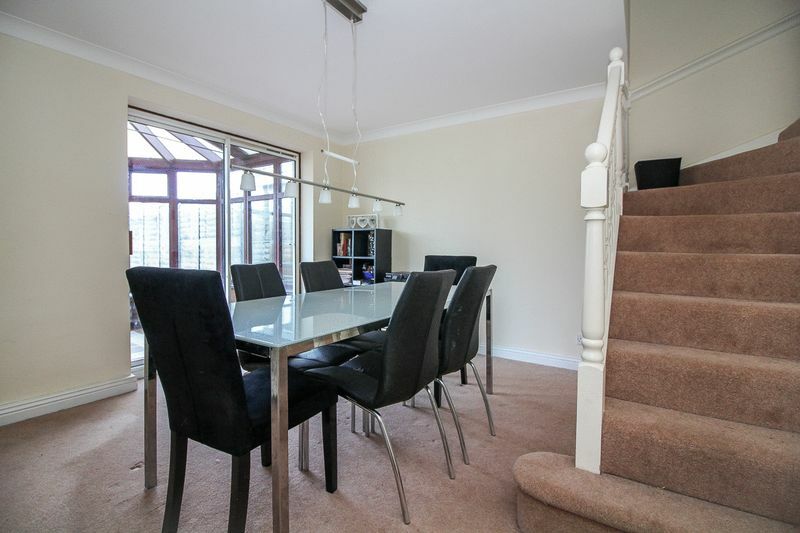 A fantastic dining room with space for a large table as well as a combination of dressers and side boards. Stairs lead to the first floor with an under stairs storage cupboard and there are patio doors to the conservatory as well as a door to the kitchen. 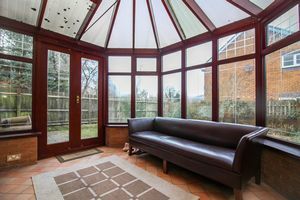 A useful extra room, the conservatory enjoys a pleasant outlook of the rear garden with windows to the rear and both sides. 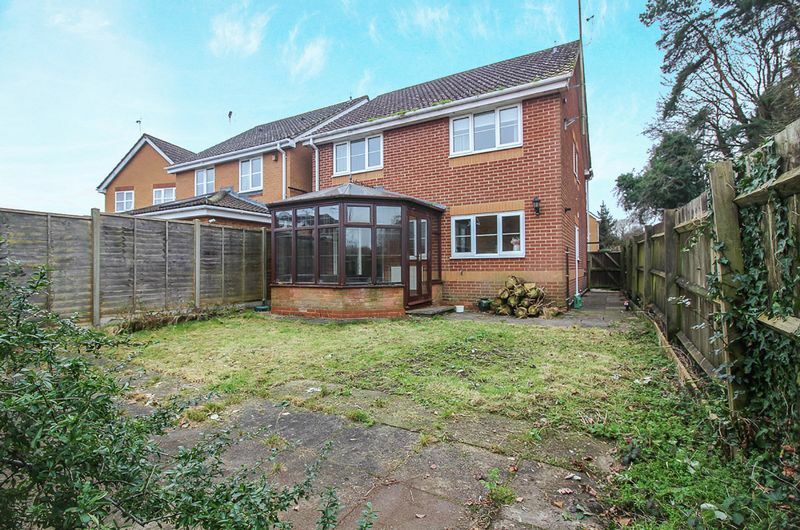 French doors lead onto the garden and the floor is tiled. A radiator helps make the conservatory a usable space throughout the year. A modern fitted kitchen with a range of wall and floor units with work top surface over. Set into the work surface you find a stainless steel sink drainer unit with a mixer tap over and a gas hob with a cooker hood. 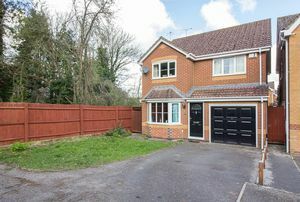 Integrated within the kitchen units there is a fan assisted electric oven and space is provided for a washing machine whilst the owners dishwasher is included in the sale. A doorway leads to the utility room. 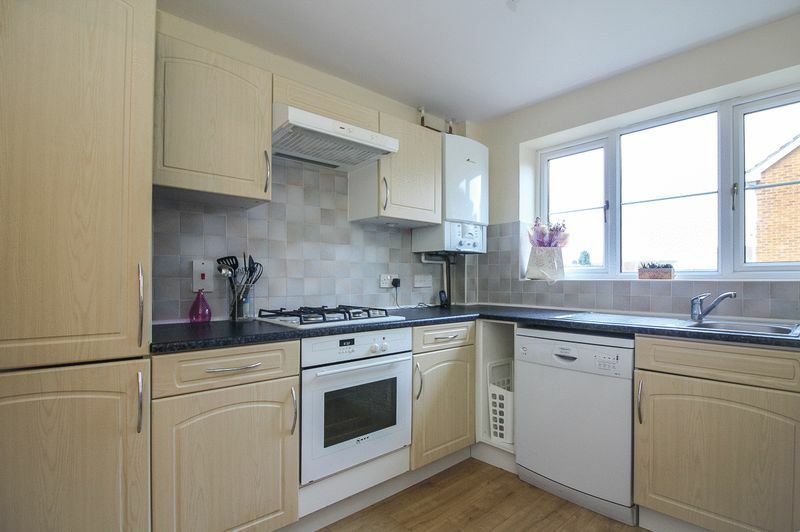 This room is a useful extension of the kitchen and provides space for both a fridge freezer and tumble dryer. A door to the side serves an alternate way to the front or garden and there is a door to the down stairs cloakroom. A must have for family living, the spacious downstairs cloakroom has a low level WC and a wash hand basin with tiled splash back. 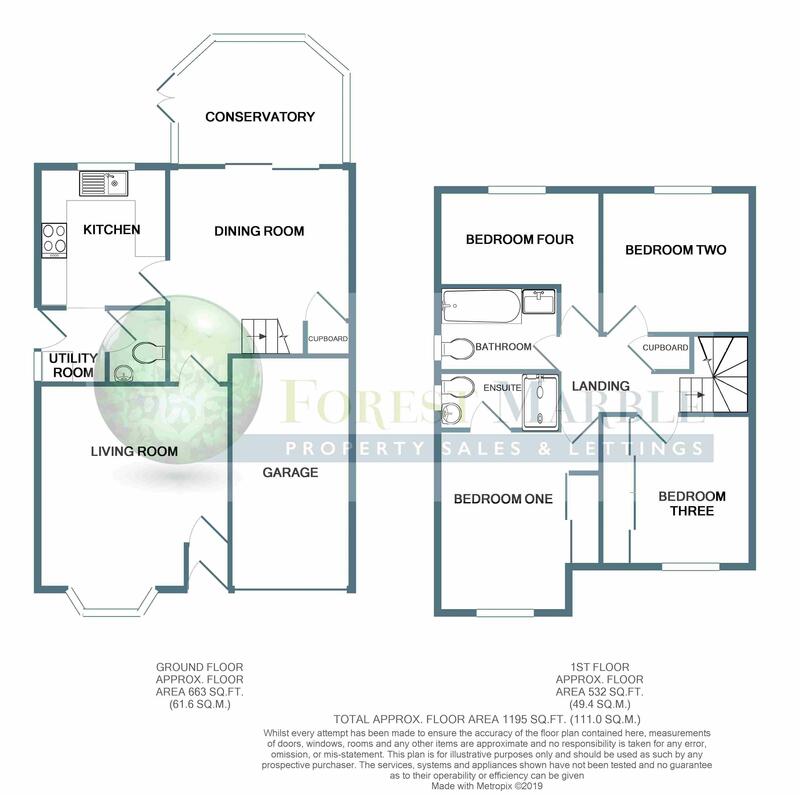 Arriving upstairs you are met with a roomy landing space which has doors to each of the four bedrooms and the bathroom. There is a linen cupboard and a hatch providing access to the partially boarded loft space. The master bedroom is a great size and has options for how you lay the room out. A large fitted wardrobe with sliding doors provides lots of space for clothes and there is a door to ensuite shower room. 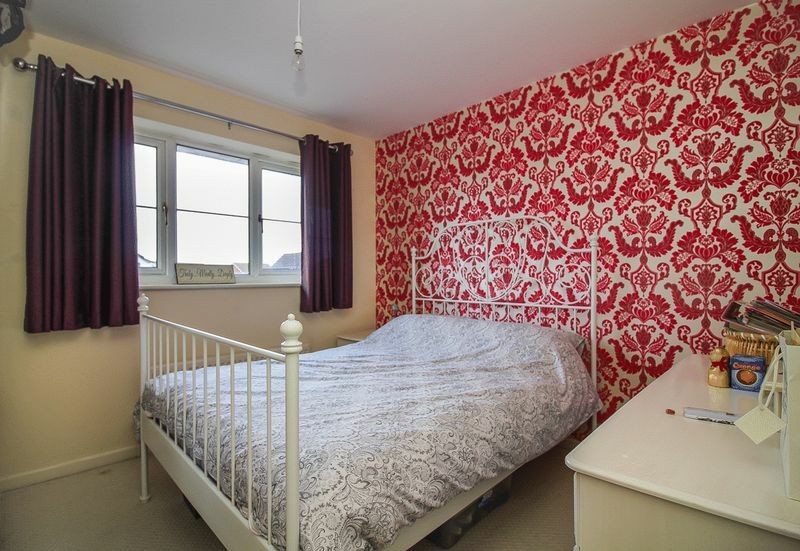 Save queuing for the bathroom with your own master ensuite. This room has fully tiled walls and a suite comprising low level WC, pedestal wash hand basin with mixer tap and a double shower cubicle. 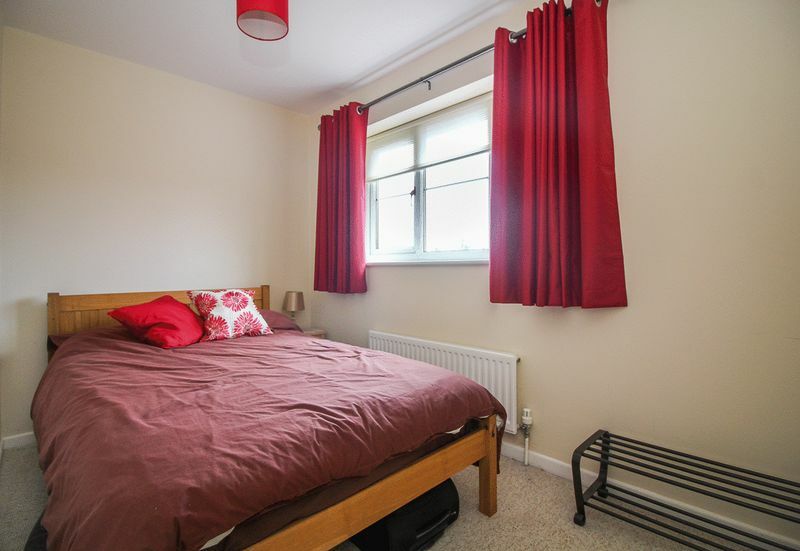 There is also a chrome heated towel rail and a window to the side. 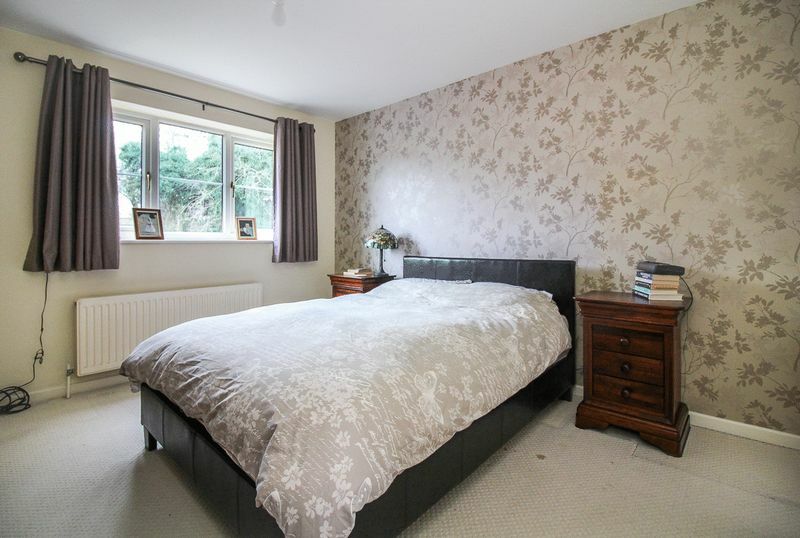 Another good-sized double bedroom with space for bedside tables and a wardrobe. This bedroom enjoys a lovely outlook of the rear garden. 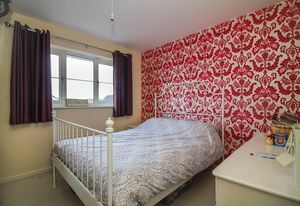 Another double bedroom, this one has a huge, four door fitted wardrobe running the length of the room. Although the smallest of the four bedrooms, this is a very generous single room with the option of a small double. 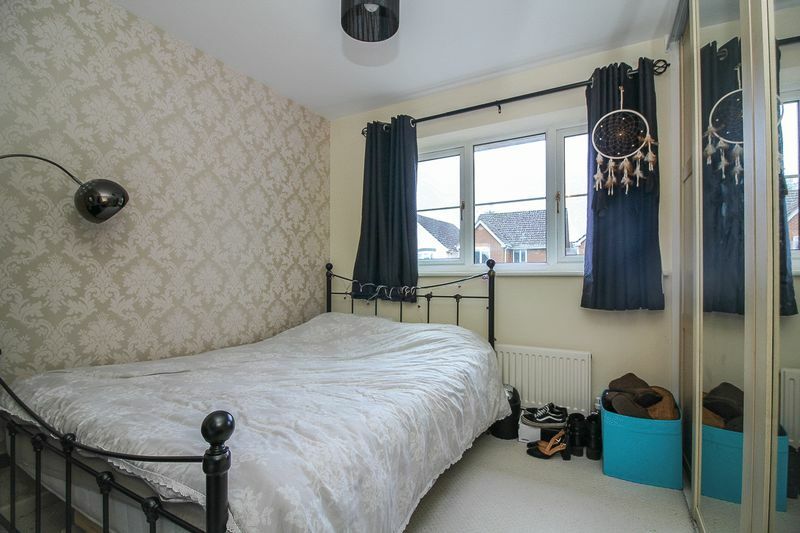 This room also enjoys a lovely outlook over the rear garden. 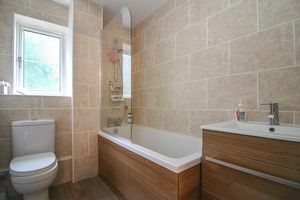 A contemporary bathroom with partly tiled walls and a suite comprising low level WC, vanity basin with mixer tap and a bath with mixer taps and hand held shower. 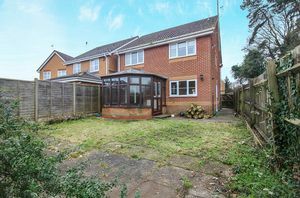 To the front is an area of lawn with a gate to the rear garden. The rear garden is mostly laid to lawn with a paved patio area. Enclosed with wooden fence and brick wall, the garden is a great space to enjoy the summer evenings. The garage has an up and over door to the front and is served with power and lighting. In front of the garage you find a driveway parking space with adjacent additional parking.